So can stress be positive? I know we always talk, how bad is stress and how it impacts our health and well-being. But maybe stress isn’t always bad. Stress isn’t something artificial even if sometimes it feels that way. Of course, nowadays stress is everywhere, and we think of it as a bad thing because it destroys peace and balance in our lives. Even if stress is good, too much of this kind of stress is bad. Right? At least, I think that. What do you think? Are you ready to get to know a little bit more about good stress? Can Stress Be Positive? Really? What do you think? Don’t let me hanging like that. Please, write what do you think about it. Can stress be a good thing for yourself? So did you answer that to yourself? Okay, now I will tell you what I discovered. 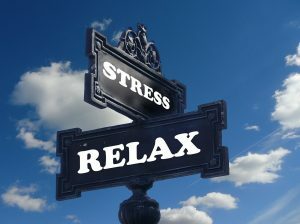 Not a long time ago I published an article What is The Difference Between Good and Bad Stress, where I talked about positive and negative stress and how they impact our lives. Yup, I know almost everyone thinks that stress is only bad, but nothing is black or white. Yes? In fact, stress can help you to accomplish something, and it can be a good thing for you. Our ancient ancestors would never survive without stress. How can stress help you? Oh, who doesn’t want to know that? Many of you are curious. Right? Can it sharpen your memory? 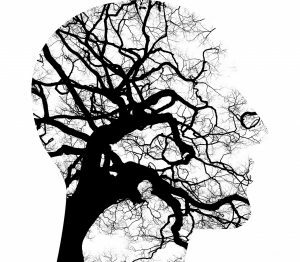 Did you know that it seems that stress sharpens your memory? When you have a test, sometimes answers come out of nowhere and surprise you. In fact, I think I experienced it, but I never thought about it before, because I was always very well-prepared for exams or tests. Stress hormones increase your alertness, and in that way keeps you focused. It’s only true about occasional stress, but not the long-term one. Too much stress does the opposite making your mind foggy, and it’s hard to remember the simplest things. Did you know that when you get sick, stress helps your body’s defenses against illness? It happens in early stages of any illness. Many of us didn’t know or ever think about it before. But if too many stress hormones are made, your body’s immunity decrease. It is known that a little workplace stress can help you accomplish more. If you don’t let stress overwhelm you, you can become more productive and self-confident. In fact, if you can turn stress into motivation and positive energy, there isn’t anything you can’t do. If you want to learn something completely new, you are a little stressful. Right? It always starts with a new challenge. Many things make you stressful for a little while, but they have positive outcomes, and in this way, your life becomes more enjoyable and interesting. Positive stress is good and it can inspire and motivate you to accomplish great things in your life. So can stress be positive? Absolutely! You just need to recognize stressors and use them to your advantage. Maybe it seems not easy, but you can do anything if you put your mind to it. Of course, chronic stress is bad and harmful to your mind, body, and spirit. Remember that too much stress of any kind can’t be a good thing. Don’t forget to let me know what do you think about stress. Can it be positive? Or do you disagree with me? What is the difference between bad and good stress? CLICK HERE to find out. If you enjoyed this article, let your friends know by sharing it on social media. 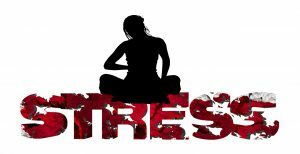 Learn more about stress and how to reduce it, subscribe to this blog to receive notifications of my upcoming articles.